Thailand's famous "Tiger Temple," a monastery and wildlife sanctuary a few hours outside of Bangkok that's home to 147 roaming tigers and other animals, is being forced to give up its tigers. Related: Hey, Tinder Dude: Where'd You Get that Tiger? Nipon Chotiban, head of the Department of National Park, Wildlife and Plant Conservation, said the temple - whose official name is Wat Pa Luangta Bua Yanasampanno - had been keeping the animals without a legitimate permit. The wildlife sanctuary raided the temple in February to investigate the circumstances, the results of which are not available to the public, according to The Sun Daily. Chotiban sent an official notice to the temple soon after, ordering them to return the tigers to conservation areas or to local zoos. The news comes as a big relief to conservationists in Thailand, who have been trying to free the striped mammals for years. They've accused the monks at the temple of breeding programs, trafficking of endangered species, and illegally selling the animals. The tigers have been chained up and trained to pose for photos with tourists since the temple first started housing them in 1999. 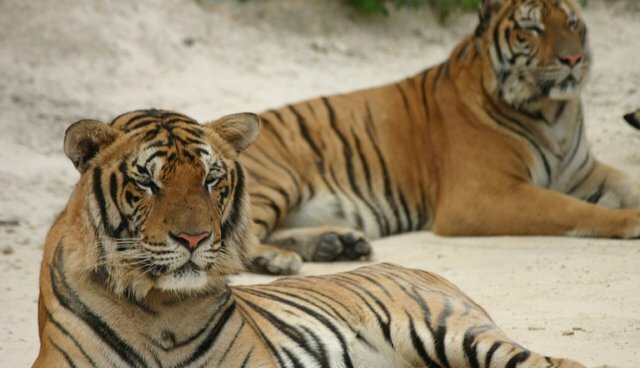 In the end, not only does the wildlife sanctuary's order conclude a long environmentalist battle, it also means that there will definitely be fewer #TigerSelfies on Instagram.